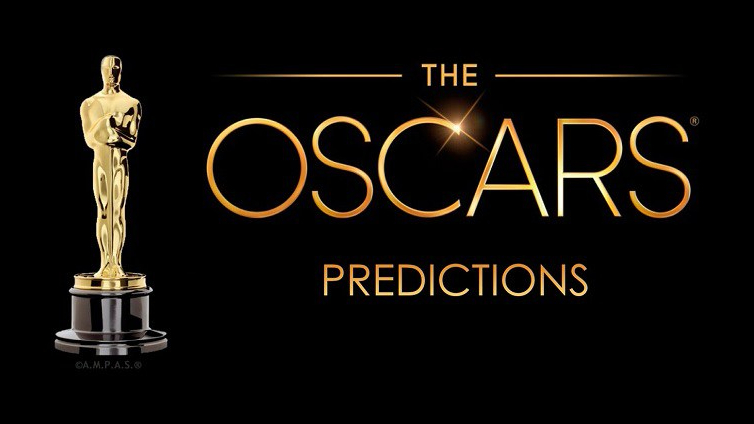 With the 90th Academy Awards taking place later this evening/tomorrow morning, the time-honoured tradition of speculating on the winners is now upon us. This year, the Academy will be pulled in two directions: the #MeToo movement as well as fresh memories of #OscarsSoWhite will put pressure on the judges to widen their traditionally conservative choices. Equally, with the near-weekly upsets of fresh sexual harassment allegations, not to mention broader political turmoil, an off-balance Academy will be particularly risk averse this year. These competing considerations have resulted in a strange mixture of nominations, from the bland (Darkest Hour), to the surprising (Logan) and the downright laughable (The Boss Baby), the winners of this year’s awards are anyone’s guess. Among safe choices The Post and Darkest Hour and Dunkirk, the crowd-pleasing Lady Bird, romantic The Shape of Water and acerbic Three Billboards Outside Ebbing, Missouri are all strong contenders. There was some buzz around Jordan Peele’s debut feature, topping film of the year lists on both sides of the Atlantic, but it’s now essentially a two-horse race between Three Billboards and The Shape of Water. Very strong entries across the board and, before the Baftas at least, it felt like anyone’s game. Nevertheless, it’s unlikely that the Academy would reward first-time director Peele straight out of the gate, especially if Get Out nabs Best Picture. Equally, Greta Gerwig – the only woman in the line up and only the fifth ever nominated, may clean up in the original screenplay category but be left standing as Lady Bird’s director. For most of 2017, the smart money was on this being Nolan’s year, but after Guillermo del Toro’s win at the British Academy Awards, not to mention a superb and extensive body of work behind him, the odds are in the Mexican director’s favour. Would it even be the Oscars if Meryl Streep wasn’t nominated? Beyond Streep’s umpteenth nod, there are wonderful, deserving performances across the board here, not least from Saoirse Ronan’s career-best turn as the eponymous teen Lady Bird. But it’s McDormand’s bitterly redemptive performance in Three Billboards that will surely secure the coveted statue. In his reportedly final role, Daniel Day-Lewis, would get the gong. Equally, it would be wonderful to see young British actor Daniel Kaluuya walk away with the award, but it’s the sadly it’s the safe bet that will win this one. Up against stiff competition, Joe Wright’s sentimental, clunky Churchill drama is unlikely to pick up the Best Picture award, but Oldman’s scenery-chewing, transformative turn is Grade-A unadulterated Oscar-bait. The Darkest Hour star is a shoo-in. A difficult one to call: Blige’s performance in Dee Rees’ Mudbound was superlative in its demonstration of the musician’s dramatic chops. Moreover, with Mudbound missing out on any other nods in the major categories, the Academy might give the film its dues here. Some have tipped Manville as the frontrunner, but Laurie Metcalf’s put-upon mother in Lady Bird has proved especially popular with audiences. If Day-Lewis does take the best actor gong, Manville will be much less likely to pick up an award, and if Lady Bird cleans up elsewhere it could still be curtains for Metcalf, clearing the way for Janney’s scenery-chewing turn in I, Tonya. There’s no doubting the sheer craft involved in Christopher Plummer turning in an Oscar-worthy performance at the last minute. Nevertheless, the Academy are sure to stay away from Ridley Scott’s hastily re-shot All the Money in the World, no matter how thoroughly the disgraced Kevin Spacey was expunged from the project. Sam Rockwell gave arguably the most complex performance in the list, but with some controversy around the racial politics of his character, it’s possible that the Academy will get cold feet. However, despite Dafoe’s masterful turn in the superb The Florida Project, his nomination has never quite had the momentum of Rockwell’s entry, now a sure thing after his Bafta win. The Shape of Water may have been nominated for the most awards, but it’s difficult to believe it will walk away with the Best Screenplay when up against Get Out, Lady Bird and Three Billboards. If Lady Bird cleans up here this could go to The Shape of Water. But if, as predicted, Lady Bird misses out on Best Director, Actor and Picture, the Academy will throw writer-director Gerwig a bone in this category, with The Shape of Water having to satisfy itself with a few technical awards. As exciting and crazy as it would be to see a superhero film take a major Oscar, James Mangold, Scott Frank and Michael Green might have to content themselves with just a nod. Following stories of James Franco’s harassing behaviour, there’s no way he’ll walk away with the award. Instead, with little love elsewhere, Mudbound’s writers could find appreciation in this category, but will find it an uphill struggle against Call Me By Your Name. The above content is composed by one of the best internet bingo websites, Sailor bingo which has an outstanding collection of internet bingo games. It also has exciting bonus offers along with a great customer care service.